Nisaa’ al Ansar present: The Full English With the Sisters. It was an early morning breakfast fundraiser for the needy people of war torn Syria. What a fantastic idea, mashallah! In collaboration with Makan Malaysian restaurant in the famous and trendy Portobello Road, this wonderful English breakfast was served up and gave many born Muslim Arab and Asians, the opportunity to enjoy what we Brits love and adore to the cost of our health. Still once in a while is fine. 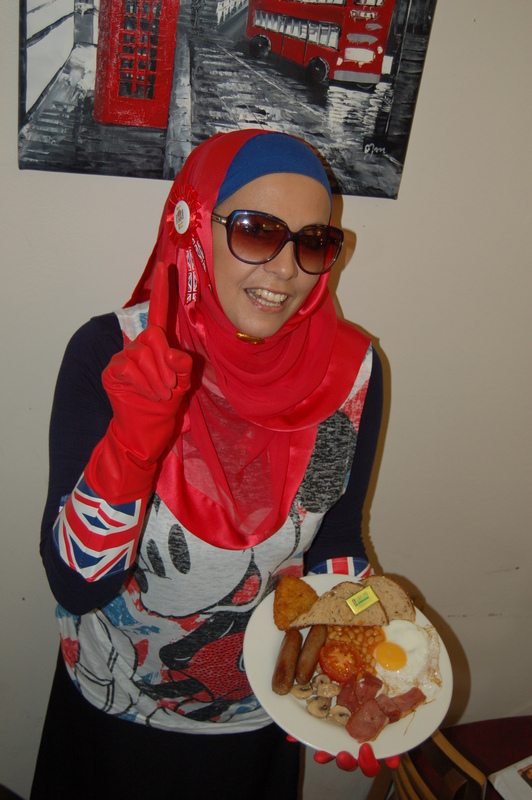 The breakfast dish consist of fried egg, turkey bacon, halal of course, sausages , halal of course, fried mushrooms, baked beans, hash brown, whole meal bread and butter, washed down with a nice cuppa or a drink of your choice. This is what we call a proper cafe breakfast. 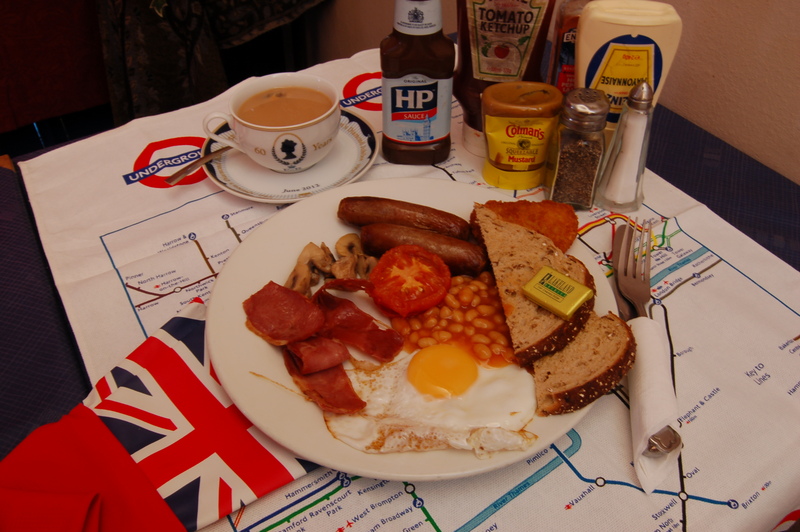 Makan Cafe’s English Breakfast -All Halal! The event was a great success, a serious iman boost and loads of fun. For anyone that missed it, you really missed out. There was beautiful Quran recitation, a mad quiz, ” No cheating we are Muslim!” that ended in an intergenerational sudden death as two sisters had equal marks in the Quran test. The prize was 3 free personal training session at Safari gyms. We had an encouraging talk from a sister about the types of charity as a good reminder for everyday and fastly approaching Ramadhan. It was a wonderful opportunity to see old face and meet new friends.